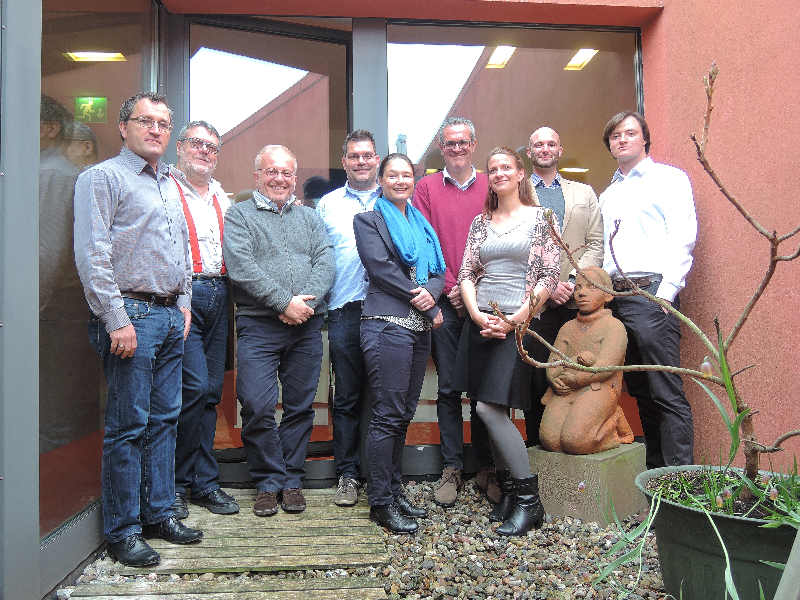 On 27th April 2015, the ADAPT project partners met in Berlin to discuss the improvement of disaster evacuation for people with disabilities. The ADAPT project – Awareness of Disaster Prevention for vulnerable groups – which is co-financed by the European Commission’s DG ECHO, took up its work at the beginning of the year. Taking a local approach, the project will involve communities and municipalities in the operating areas of the participating Samaritan organisations to improve disaster relief for elderly and disabled people living in disaster risk zones. At the meeting, the operative project partners ANPAS, ASB, DKFH and WK presented the results of their search for suitable participating communities, based on the selection criteria defined beforehand in collaboration with the project’s academic partner, the University of Rome Tor Vergata. The selection was based upon factors such as whether the community is in a disaster risk area, the population size and existing data sources and emergency plans. ANPAS will participate with Saponara on Sicily, a community of about 5000 people, that is located in a risk area for flood as well as earthquakes. ASB will collaborate with three small towns located in close proximity to each other within the Vogtland county in Eastern Germany, which was hit by the flood disaster of 2013. The area also has a relatively high frequency of emergency evacuations due to finds of unexploded ordnance from the second world war. The participating community from DKFH will be Nakskov on the South-Danish island of Lolland. The town of 12000 inhabitants lies within one of the high-tide flooding risk areas officially identified as such by the Danish government. 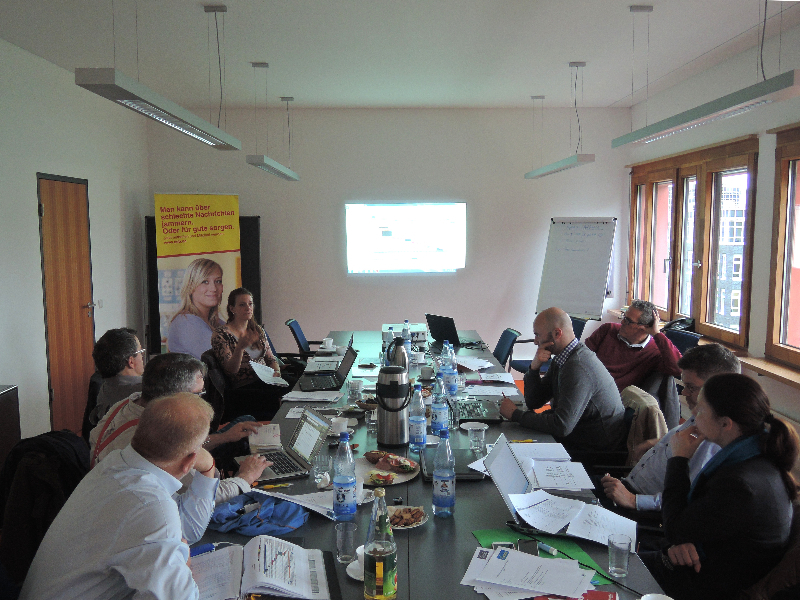 WK has selected the city of Klausen in South Tyrol, population 5200. Due to the town’s geography in a valley and built on both banks of a stream, it is a flood risk zone in case of heavy rainfalls. The operative partners are now consolidating local stakeholders into action groups in the respective communities. As a next step, these action groups will hold local workshops, to begin the exchange of ideas and expertise on approaches for a data platform that will help relief workers evacuate vulnerable people in emergency situations. These preliminary local assessments will be brought together in an international workshop in late August. Technical experts will discuss the feasibility of their ideas with them and legal expertise will be present to find a suitable solution for the obvious data protection challenges the creation of such a platform holds.